The work of the Pope Paul VI Institute was in the spotlight on Women of Grace in February! Dr. Thomas Hilgers, Leslie R. Buckley, DMD, FCP, and Felricia Brown, FCP were the guests of host Johnette Benkovic, and they indiscussed infertility issues and topics related to the CREIGHTON MODEL FertilityCare™ System and NaProTECHNOLOGY. The programs originally aired on EWTN Feb 10–14, 2014, but if you missed them, you can watch each of the five episodes via the links below! First, because we concur with Article 16 of The Universal Declaration of Human Rights: all “men and women of full age, …, have the right to marry and to found a family,” we also believe couples have the right, by logical extension, to responsibly plan their family [also promoted in the 2012 U.N. Annual Report]. We differ, however, with the Report’s definition of responsible family planning. To responsibly plan a family means that married couples should have the right to voluntarily access a means to space their children that is not only reliable but also moral, that is, one that promotes genuine human fulfillment for the couple, their family, and the society. We also disagree with Annual Report’s conclusion conflating the universal human right of “access to family planning” with “access to contraception,” ostensibly doing so on grounds that contraception is the only or only “reliable and high quality” means of planning a family. Hence, access to family planning through competent education on human fertility is a universal human right, but access to contraception is not. Second, we understand how contraception can appear to empower women by providing them a way to space children so that they can more easily work outside the home and increase family income. However, thousands of couples using the Creighton Model FertilityCare System (CrMS), testify that this natural system of regulating fertility provides an even better way to empower a woman. It provides her with a) woman-specific biofeedback—on any given day in any given cycle—about her body and her fertility; b) a means of treating OB/Gyn abnormalities such as unusual bleeding, premenstrual syndrome and infertility, c) an effective means of avoiding or achieving a pregnancy, and d) a basis for healthy communication between her and her husband about family planning goals. Third, we reject the Report’s allegation that contraceptive use improves the user’s health. Our 40+ years of clinical data show the exact opposite: oral contraceptives (OCs) have a devastating potential to compromise a woman’s reproductive and overall health. Echoing our results, the World Health Organization not only classifies the OC as a carcinogen but warnings from package inserts of many OCs also specify that the pill “may increase risk of breast cancer and cancer of the reproductive organs.” Take the claim that the OC lowers the risk of ovarian cancer. Again, what women need to know are the specific risks and benefits of the pill. For example, compared to a woman not using hormonal contraception, it is true that the woman who uses the combined OC for five years incurs the benefit of a 40% decreased ovarian cancer mortality risk. But here’s the tradeoff: the same woman faces increased risks from the use of that same OC over the same 5-year period—a 100% increased risk for venous thromboembolism, a 24% increased risk of breast cancer, and at least a 100% increased risk of myocardial infarction. Furthermore, women who use OCs experience many (and sometimes debilitating) side effects from the Pill: bloating, breast tenderness, headaches, irregular bleeding, mood changes, and nausea. Fourth, our secondary research data contradict the Report’s claim that increased access to contraception limits abortions. For example, the November 2006 issue of Obstetrics and Gynecology reported, based on data from 23 studies, that greater access to emergency contraception increased rather than decreased the incidence of unintended pregnancy and abortion rates. The sad truth, then, is that the surge in contraceptive use has resulted in more unplanned pregnancies which, in turn, have resulted not only in the increased backup-contraceptive-choice of abortion, but also in devastating post-abortion psychological sequelae. Sixth, we object to the Annual Report’s silence on the need for conception of children within the context of a mutual permanent commitment on the parents. Children have the absolute right to be conceived, gestated, born into, and raised within marriage. Have you followed us in the news lately? We have had articles written about the Institute and about the Creighton Model System and NaProTechnology recently featured in the Chicago Tribune, Legatus Magazine, and Columbia Magazine! Also, the NaPro approach to diagnosing and treating infertility will be the topic of discussion on the upcoming August 10th broadcast of Catholic Answers! Follow the Pope Paul VI Institute and the Creighton Model System and NaProTechnology in the news at www.popepaulvi.com/inthenews.htm! Make plans to attend the 2012 physician-couple retreat in February! Fr. Jaroslaw Szymczak from the Holy Family Institute in Warsaw, Poland will be the retreat master. Each weekend session includes a lecture, a workshop, and couple dialogue. Presenters at the retreat include Dr. Thomas W. Hilgers, who will offer two CME lectures, and his wife Sue Hilgers. Download the brochure/registration form and the poster. Location: Pope Paul VI Institute Chapel of the Holy Family and Comfort Inn & Suites. 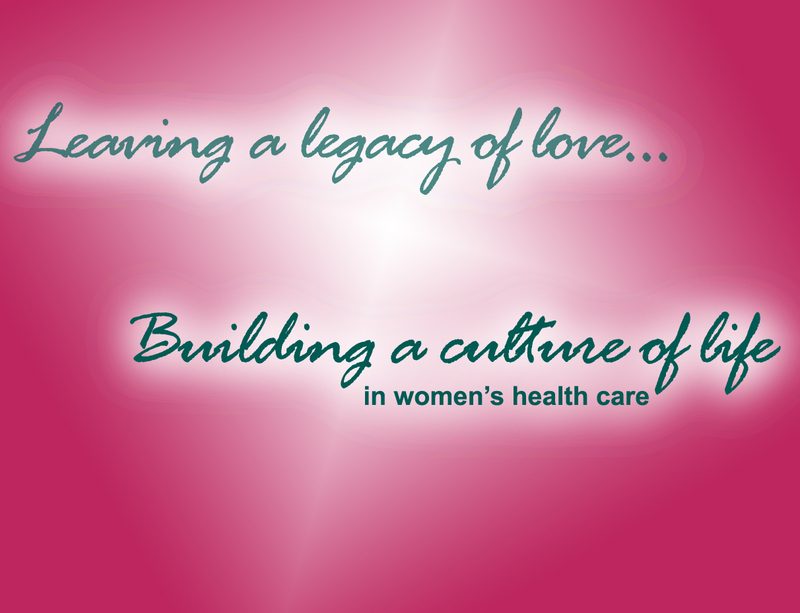 A weekend retreat focusing on marriage, family, and the practice of women’s medicine in a Culture of Life. During 2010, I was one of the recipients of the Vatican’s highest medal for healthcare workers–the Good Samaritan Medal. Archbishop Zygmunt Zimowski, president of the Pontifical Council of Healthcare Workers, bestowed the medal on me at the 5th of September 2010 closing Mass of the Pope Paul VI Institute’s 25th anniversary celebration. The Good Samaritan Medal is awarded to “those who serve the sick and the suffering in an exceptional way” (from rcdow.org.uk). As Archbishop Zimowski bestowed the medal on my wife, Sue, and me, he said, “With God’s grace and the commitment of the management, staff, and supporters, the Institute has educated practitioners, instructors, supervisors, educators, nurses, medical consultants, clergy and religious, and of course touched the lives of many mothers and families.” He lauded the efforts of the Institute–its sometimes solitary efforts–in building a culture of life in women’s health care. On April 8th, 2011, during a ceremony at our largest-ever Education Phase, I was presented by our FertilityCareTM Educator Janina Filipczuk with the Fides et Ratio medal, which was awarded to me on the 19th of March 2011 by the Polish Catholic Scholars Guild. Janina, who received the award for me in Warsaw, was also a recipient of the award for introducing NaProTechnology to Poland. This award is given by “the Polish Catholic Scholar’s Guild for the promotion of goodness and beauty in the world” and for service to the human person and human dignity. In our spring 2011 issue of “Building a Culture of Life in Women’s Healthcare” newsletter, we have comments from Archbishop Henryk Hoser from the award ceremony. (Omaha, Nebr.) 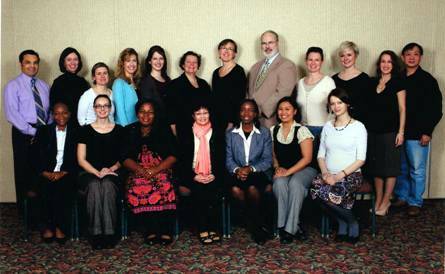 From April 2-9, 2011, 107 women’s health practitioners from the U.S., Poland, Mexico, Nigeria, Ireland, New Zealand and Canada, gathered in Omaha to complete Education Phase II of the Pope Paul VI Institute for the Study of Human Reproduction’s training in the Creighton Model FertilityCare System and NaProTechnology. It is the largest number of practitioners to attend the Institute’s the annual training, which has been offered for 33 consecutive years. The Pope Paul VI Institute for the Study of Human Reproduction is the leading education and research center in the United States in the area of natural regulation of human fertility and the development of morally and professionally acceptable reproductive health services. Dedicated to Pope Paul VI’s challenge to “physicians and health care professionals” and to “men of science,” it is a living memorial to the challenges placed before us by the Pope Paul VI in his encyclical letter Humanae Vitae (Of Human Life). Each year, the Pope Paul VI Institute offers two Education Phases for national and international students in the following programs: Practitioner Interns, Medical Consultants, Double Program Interns (Practitioners and Medical Consultants), Nurse Practitioners, Physicians Assistants, and Pharmacists. at the Pope Paul VI Institute Education Phase II training conference in Omaha, April 2-9. According to patient and conference attendee Joanna Najfeld of Warsaw, Poland, the Creighton Model and NaProTechnology is a revolution in women’s health. Another attendee, Ezenkwele Ezi, an OB/GYN practicing in Enugu, Nigeria, plans to return to her country and become a medical consultant of NaProTechnology. Dr. Ezenkwele said the most striking thing she learned in the second education phase is the possible link between NaProTechnology and breast cancer. Dr. Lewis D. Lipscomb, an OB/GYN practicing in Winston-Salem, NC, said that after attending Education Phase I in October, 2010, he decided to cease prescribing contraception and performing sterilization. “I can finally go to work with a true sense of peace, knowing that I am practicing in accord with my faith, and helping to promote a culture of life, family values, and respect of sexuality,” he stated. The Creighton Model FertilityCare System and the new women’s health science of NaProTechnology have been developed through a research and education effort coordinated and directed by Thomas W. Hilgers, MD, director of the Omaha-based Pope Paul VI Institute for the Study of Human Reproduction and clinical professor in the Department of Obstetrics and Gynecology, Creighton University Medical Center. The Creighton Model FertilityCare System provides comprehensive, professional services through individualized follow-up, standardized teaching tools and ongoing research. The Creighton Model is a medically standardized modification of the Billings Ovulation method. It is the only education program in this field that meets the education demands of a newly emerging allied health profession and provides a case management approach to teaching. Two organizations unite Creighton Model FertilityCare Centers nationally and internationally: FertilityCare Centers of America and FertilityCare Centers International. Founded in 1985, the Pope Paul VI Institute for the Study of Human Reproduction has developed a new approach to women’s health care that embodies the best principles of medicine and offers superior treatments to women and challenges mainstream medicine, which relies on contraception, in vitro fertilization, and abortion. Through the Creighton Model FertilityCare System and NaProTechnology, its healthy, moral solutions to issues in women’s health care impact the lives of thousands of women, couples, doctors, medical students, priests, and babies nationally and internationally. More than 1,000 teachers and 300 physicians have been trained in the Creighton Model System. This year, the Pope Paul VI Institute for the Study of Human Reproduction–the home of FertilityCareTM and NaProTechnology–celebrates its 25th anniversary! Over Labor Day weekend, many staff, former employees, patients, friends and benefactors of the Institute joined together for a weekend of festivities here in Omaha. Preceeding the festivities, we held a two day-long conference series. On Thursday, September 2nd, intellectuals and moral theologians presented on the pastoral directives in Pope Paul VI’s life-changing encyclical Humanae Vitae. On Friday, September 3rd, medical professionals from around the world and other interested lay people attended an international conference on the new women’s health science of NaProTechnology. The culmination of the weekend was Saturday’s Family Fun Day. Families and friends of the Institute enjoyed inflatables, pony rides, a fire truck and smoke trailer, a police car, face painting, clowns, music, unicyclists, arcade games, testimonials, book signings, and much more! A tiered birthday cake and a drum battle between Dr. Hilgers and two of his sons crowned the day’s events! Saturday evening was marked by a special reception and gala banquet. Raymond Arroyo, a newscaster on Eternal World Television Network and author of best-selling novels on Mother Angelica, gave a lively and enlightening talk. The weekend also included two special Masses, an opening Mass celebrated by Cardinal Justin Rigali and a closing Mass celebrated by Archbishop Zygmunt Zimowski. For coverage on the weekend’s events, visit Zenit and search for “NaProTechnology” and for “Zimowski” (articles range in dates from September 2, 2010 through September 11, 2010). This year, the Pope Paul VI Institute for the Study of Human Reproduction–the home of FertilityCareTM and NaProTechnology–celebrates its 25th anniversary! We have festivities planned for this occasion in September. 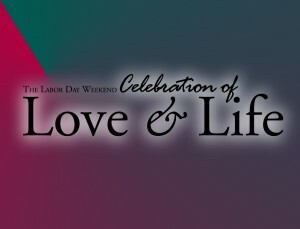 The Labor Day Weekend Celebration of Love & Lfe will be held here in Omaha, Nebraska, where the Institute was founded. There will be two day-long conferences preceeding the celebration. On Thursday, September 2nd, we will hold the first-ever conference on the Pastoral Directives of Humanae Vitae. On Friday, September 3rd, medical professionals and other interested lay people can attend an international conference on the new women’s health science of NaProTechnology. The culmination of the weekend will be Saturday’s Family Fun Day. The day of free fun to celebrate the 25th anniversary will have activities for the whole family including inflatables, pony rides, a fire truck and smoke trailer, a police car, face painting, clowns, music, unicyclists, arcade games, testimonials, book signings, and much more! Saturday evening, there will be a special reception and gala banquet. The weekend will also start and end with two special Masses. An amazing line-up of speakers are scheduled for the event. 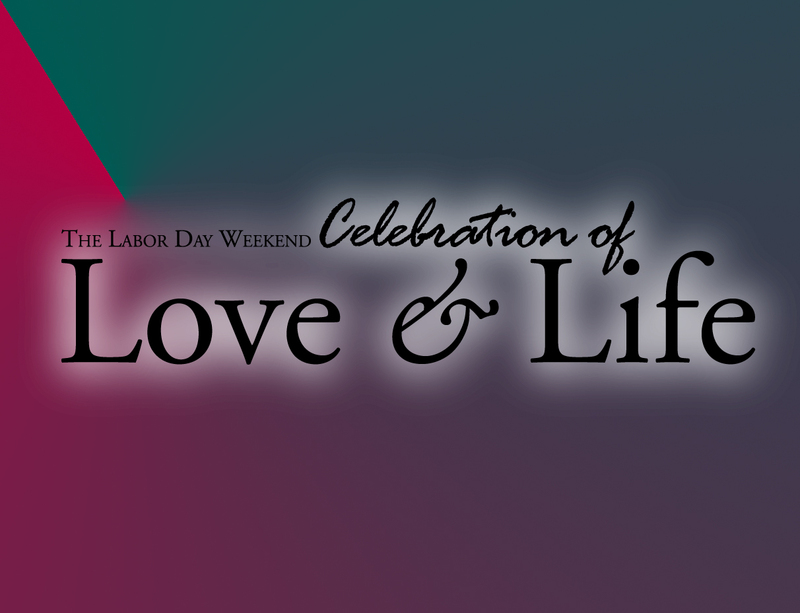 For more information, check out the Institute’s web site dedicated to The Labor Day Weekend Celebration of Love & Life: http://www.popepaulvi.com/celebrate-love-life.htm .